Robert MacSwain’s Solved By Sacrifice: Austin Farrer, Fideism, and the Evidence of Faith is a meticulous account of the twentieth-century British philosopher’s religious epistemology, but it deserves the attention of anyone more broadly interested in the relationship between faith and reason. MacSwain commends Farrer as a thinker who “never avoided ‘the empirical demand’” and yet did not simply “fit his religious beliefs into a predetermined philosophical system” (234). As an Oxford chaplain writing in not only academic but also homiletic, devotional, and epistolary modes, Farrer engages metaphysical and epistemological claims with a view to their rootedness in faith practice and especially the experience of grace. While he maintains “the possibility of the rational truth of theism,” he thinks being “rational” involves “appreciating reason’s limited function and powers” (91) and he tests his beliefs “not merely by rigorous conceptual analysis but by living them” (234). According to MacSwain, Farrer’s “great insight was that some things can only be known in this way, from within a commitment to them, a commitment which may be called ‘faith’” (234). 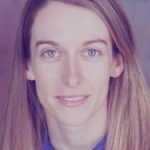 Carefully tracing the evolution in Farrer’s understanding of “the evidence of faith,” MacSwain argues for what he calls “moderate methodological fideism”—not only as an apt description of Farrer’s epistemology but also, constructively, as a position that he takes up in the end as his own. By this, he means “faith is not contrary to reason but precedes it” (88). On the way to his conclusion, MacSwain interacts at length with Farrer’s interpreters, namely Charles Conti and Jeremy Morris. While they focus on the influence of Charles Hartshorne via John Glasse, MacSwain is concerned to show the profound impact of Farrer’s hitherto unexamined relationships with Princeton Theological Seminary Professor Diogenes Allen. He argues that Allen, shaped by the later Wittgenstein, eventually helped Farrer “move to the possibility of a non-metaphysical foundation for philosophical theology, indeed perhaps to a non-foundational position altogether” (8, cf. 222). MacSwain makes the compelling case that Farrer should receive at least as much attention as figures such as Alvin Plantinga and Richard Swinburne who have otherwise “set the agenda” for so much recent Anglo-American philosophical theology (149). What are we to make of this discontinuity and incoherence? As Farrer asks in Saving Belief, “Can reasonable minds still think theologically?” (quoted on 149). He goes on to proclaim, “The saints confute the logicians, but they do not confute them by logic but by sanctity” (quoted on 226). They become “incarnate arguments,” “walking sacraments,” “visible incarnations of grace” (228, 229). “Conduct,” then—or, more specifically, obedient “witness”—is what provides the evidence of faith, what proves its credibility. Thus, as MacSwain writes in his concluding chapter, “this study has reoriented Farrer scholarship away from metaphysics towards epistemology… I would encourage a further reorientation away from epistemology and towards—not logic—but spirituality” (223). What do MacSwain’s interlocutors make of this twofold shift from metaphysics to epistemology to spirituality? Darren Kennedy believes MacSwain is right to emphasize “the more holistic claim that our acquisition of knowledge is not so much mental as corporal, involving every aspect of our being” (136). Like Kennedy, Olli-Pekka Vainio is appreciative of the careful biographical reading MacSwain provides, which sheds light on the more relational and devotional dimensions of Farrer’s philosophical development. Paul Griffiths also touches on Farrer’s idea of “proving, in life,” but he would like to see further movement away from any account of epistemology that is normative, that is presented as first philosophy, as foundational for Christian belief. 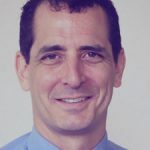 Leigh Vicens, by contrast, takes issue with the whole idea that a tension between faith and reason could be “solved by sacrifice,” posing the question, “Can people be arguments?” If by “argument” we mean “argument-as-logical-demonstration,” then saying “the saint is our evidence” (225) entails a kind of category mistake. But it seems the “evidence” in question here is of a different sort. Perhaps this what Griffiths has in mind when he suggests we “permit revelation to cease to be an epistemological stumbling-block, and to become itself an object for philosophical—most likely phenomenological—study, as it has become, for example, in the work of Jean-Luc Marion.” He says the saints are not to be regarded as “epistemic guarantors.” But it’s worth observing that this does not in fact mean they don’t provide “any kind of evidence,” if we keep in mind Husserl’s understanding of Evidenz (which Marion presses in his account of “givenness”). While MacSwain’s discussion of Farrer is understandably situated in a larger conversation about analytic philosophy and theology, in reorienting us from epistemology to spirituality as he does in his conclusion, there are certainly generative connections to be made with more recent continental philosophy as well. “Can images be arguments?” I ask my students in Critical Thinking class. The answer I am hoping they will reach, after some discussion, is “no.” An argument, after all, is a set of claims in which some (the premises) are meant to rationally support another (the conclusion)—or, as Monty Python’s “Argument Clinic” defines it, “An argument is a connected series of statements intended to establish a proposition.” An argument may have an implicit premise or conclusion, but the entire argument cannot be unstated. While some images—say, a cigarette in the shape of a gun—may suggest certain claims—“Smoking kills”—images cannot definitively embody or represent entire sets of claims offered in support of others. Now if by “argument” MacSwain means logical demonstration, then Farrer would seem to be saying not what MacSwain attributes to him—that saints serve as a kind of argument—but just the opposite, since Farrer maintains that the saints do not “prove by logical demonstration.” But MacSwain does seem to have the idea of argument-as-logical-demonstration in mind when he (approvingly) cites Rowan Williams saying, “The saints are the people who recognize that arguments will finally not win the day. God does not make himself credible by argument [but] by lives and deaths that make him credible” (quoted in MacSwain, 228). Here Williams is contrasting argument-as-logical-demonstration with the kind of evidence that the saints provide. What, then, does MacSwain mean by calling the saints “incarnate arguments”? My best guess is that he intends the evidence of the saints to replace rational argumentation as the basis of our faith. In what follows I will assume this interpretation of MacSwain. While I am in no place to dispute him-who-wrote-a-dissertation-on-Farrer regarding what exactly this enigmatic philosopher-theologian meant by calling priests “walking sacraments,” I think the view MacSwain attributes to him—of saints as properly replacing rational arguments for God’s existence—misunderstands the role of argumentation in the life of faith. In what follows I attempt to articulate a positive role for arguments before going on to highlight what I take to be a helpful insight in MacSwain’s emphasis on the evidence of the saints. So what role does, or can, an argument serve in the life of faith? At its best, I think that when we attempt to construct an argument for some belief that we hold, we are trying to introspect, to discover and articulate our most deep-seated reasons for holding that belief, so that others may come to see that it is true (or so that, upon closer inspection, we come to see that we have no good reason for holding it after all). In the philosophy classes I teach, I try to encourage this view of arguments, so that students will work to figure out their own reasons for believing some proposition rather than crafting clever pieces of logic that have nothing to do with their own motivations. After all, the best reason we can give for believing a proposition is presumably what motivates our own belief in it. Such introspection is not an easy exercise, however, since our own reasons for believing are often inaccessible to us, hidden beneath layers of self-deception and confabulation. In his book Natural Signs and Knowledge of God, C. Stephen Evans seems to hold a view of the role of arguments similar to what I have just outlined. He contends that the classic arguments for the existence of God are grounded in what he calls “natural signs” that “point” to God’s reality.1 To take one example, the cosmological argument, which relies on the premise that something about the universe requires an explanation, is based on a more fundamental sense or intuition of “cosmic wonder”—“a certain experience of the world or objects in the world, in which they are perceived as mysterious or puzzling, crying out for some explanation.”2 After experiencing cosmic wonder, those who are philosophically inclined may attempt to formulate an argument, explicitly stating just what it is about the universe that seems to require an explanation, and why only God can provide such a thing. As Evan notes, an argument is not necessary for one who has experienced cosmic wonder to come to have knowledge of God; the cosmic wonder is enough, since it points to God’s reality directly.3 Still, natural signs “fundamentally serve to point to a reality” rather than to rationally support a proposition, and since they can be interpreted in more than one way, “individuals can be in touch with [the reality to which a sign points] while having many false beliefs about it.”4 This suggests another important purpose of constructing arguments, besides sometimes making us realize that we lack good reason to believe a proposition: the exercise of constructing an argument can help us clarify just what the reasons we do possess give us reason to believe. Does cosmic wonder imply that what explains some feature of the world is a necessary being? If so, “necessary” in what sense? And just what feature of the world is it that requires an explanation? And why does it require one? And so on. Getting clear on the premises of the argument will also clarify for us our conception of God, as well as the limits of our knowledge of God. When Farrer says “the saint is our evidence” (quoted in MacSwain, 225) we might interpret him this way: the saint serves as a kind of natural sign, alongside the other natural signs Evans proposes: cosmic wonder, the “beneficial order” of nature (76), our experience of ourselves “as responsible and accountable moral beings” and of others as having dignity (132), and our sense that life is a gift for which we should be grateful (150). What is it about the saints, in particular, that points to the reality of God? MacSwain maintains that it is not simply the morally good lives they lead, but the way their lives of “total sacrifice of self” manifest “a touch of the numinous” (232). He also notes that “by themselves, [the lives of the saints], no matter how extraordinarily impressive, still fall radically short of any . . . theistic or Christian conclusion, just as the entire cosmos still falls short of proving the existence of an infinite, eternal, perfect, personal Creator” (233). This is, again, to liken the numinousness of the saints to natural signs such as cosmic wonder, which, as Evans notes, point to a reality without compelling belief in it (2). To take stock so far, I have proposed that Farrer’s discussion of the evidence of the saints corresponds to Evan’s conception of natural signs which point to God’s reality and can ground knowledge of God non-inferentially, or without argumentation. However, I have also suggested that the evidence that the saints provide should not be thought of as opposed or in contrast to “demonstrative logic” or rational arguments. Rather, such arguments have a role to play in the life of faith along with the signs on which they are based. Still, it is worth noting an important point Farrer emphasizes in another of his sermons. As he says, it us “useless to preach unless we can claim some taste of the things we describe” (quoted in MacSwain, 229)—or as MacSwain puts it, “Saints can only function as ‘incarnate arguments’ to the extent that religious believers recognize . . . the ‘ordinary, continuing religious experience’ that is ‘the personal heart of the Christian faith’” (233). To restate this point in the language I have just introduced, it is useless to consider arguments based on natural signs if one has no experience of the signs themselves. Indeed, I would think it would be worse than useless. As Dietrich Bonhoeffer noted in reflecting on Martin Luther’s creed that we are justified by grace, there is a difference between taking such a statement as the conclusion of a life lived in struggle against sin, and taking it as a premise to justify one’s life of sin. This difference corresponds to Bonhoeffer’s distinction between costly and cheap grace. Bonhoeffer says, “As the answer to a sum it is perfectly true, but as the initial data it is a piece of self-deception. For acquired knowledge cannot be divorced from the existence in which it is acquired.”5 Likewise, we might say that one who comes to have faith in God on the basis of the cosmological argument, or, say, Richard Swinburne’s argument from religious experience, without having experienced the reality in which this argument is grounded—cosmic wonder, or the numinousness of the saints—has a kind of cheap faith, which involves a form of self-deception. For she claims to believe the conclusion of the argument, but the argument depends on premises which she does not know to be true. Her faith is like the seed sown on stony ground: it has no deep root, and will likely wither. This is not to say that we must have some profound mystical experience to ground true faith in God. As MacSwain notes, Farrer seems to have in mind more “ordinary” religious experience, of the sort, I would think, that Evans has in mind when he discusses natural signs. Some appreciation of the reality of God which grounds our existence—whether through awareness of the design in nature, the sheer contingency of being, the dignity of all people, or the awesomeness of agape love—is enough to inspire true faith. And if there really is no such awareness of the reality of God—no “interaction with God in your life”—as MacSwain says, then “perhaps you should not believe, no matter how good the philosophical arguments may be” (234). Let me begin by saying how grateful I am to Syndicate Theology for hosting this symposium on my book: I have learned a great deal from my commentators, both those whom I already know and those whom I have met through this exchange. Unlike Vainio and Griffiths, but as with Kennedy, I have not yet met Leigh Vicens in person. I am grateful for her insightful contribution, and in particular for bringing her philosophical expertise to bear on a work that attempts to bring (analytic) philosophy and (Christian) theology together.2 I especially appreciate her keen concern for what she describes as “the role of argumentation the life of faith.” However, Vicens thinks that my interpretation of Farrer’s religious epistemology misunderstands this role, and hence I misunderstand it as well, at least to the extent that I subscribe to Farrer’s religious epistemology. Both exegetical and conceptual issues are at stake here, so let me see if I can clarify them in this brief response. First, the exegetical issue. Vicens rightly zeros in on a genuine ambiguity in my presentation of Farrer’s position on the evidential value of saints as what I call “incarnate arguments” for God, and I will come back to that ambiguity in a moment. But, having identified this ambiguity, Vicens is then faced with the natural dilemma of what Farrer’s position actually is. She says: “My best guess is that [MacSwain, following Farrer] intends the evidence of the saints to replace rational argumentation as the basis of our faith” (emphasis in the original). In other words, this exegetical issue is about how “fideistic” Farrer was and I am. Are all “logical demonstrations” and “rational arguments” for God useless, and are we thus indeed left with nothing other than the witness of holy yet fallible human lives to point us to divine reality? Coakley’s own tentative interrogation of this proposal clearly sees it as a potential contribution to a “cumulative case” for Christian theism—so whence the ambiguity in my own presentation of the idea? Two reasons. The first is that in presenting the proposal I drew on a number of figures who interpreted it somewhat differently, and the anti-argument position that Vicens attributes to me and Farrer is, I think, more accurately Rowan Williams’s rather more extreme view, drawing on Etty Hillesum.4 Whereas both Coakley and I see saints as “arguments,” Williams sets “lives” and “arguments” in oppositional terms, as Vicens notes. Williams does, however, see such holy lives as providing “evidence,” which to me suggests they could be part of an argument after all. But my exposition of Farrer, Coakley, Williams, and others on this theme conflated some important distinctions in the attempt to get the basic idea across. Second reason: the very claim that “persons” or “lives” can function as “arguments” is itself inherently ambiguous, as Vicens again notes, and thus requires further clarification. So, as my final response to the exegetical issue, although in Solved by Sacrifice I indeed use the evocative but unclear phrase “incarnate arguments” (inspired by Farrer’s famous description of priests as “walking sacraments”), after further reflection I propose that we call this claim the “hagiological argument”—that is, the argument from holiness or sanctity. And I would further divide the hagiological argument (as I have encountered it in various authors) into two distinct forms: (i) the propositional (very roughly, “There are saints; therefore, God”) and (ii) the performative (where the “argument” is not propositional and is thus meant analogously to conventional propositional arguments, and the “evidence” is given in the observed character of an entire exemplary life-narrative). Coakley, I think, is aiming at (i), whereas Williams is aiming at (ii), and I am currently poised between them. Further exploration of the hagiological argument in both of these forms is the subject of my current sabbatical research project, so that’s basically all I can say about it at this point. I have not read Evans’s book, so I will take Vicens’s description and endorsement of it at face value. I actually find myself in basic agreement with this stated position, with five important qualifications. First, any discussion of natural knowledge of God raises immensely complicated epistemological and doctrinal issues that neither Vicens nor I can possibly even begin do justice to in this context.6 Second, if we are going to offer an argument to justify a given belief then the Vicens/Evans description of such argumentation sounds plausible, but such arguments are not always necessary for our beliefs to be justified.7 Third, in general, recognizably rational arguments include not only deductive demonstrations but also inductive inferences, and probabilistic cumulative-case arguments are potentially more helpful in discovering and articulating our deep-seated reasons for a given belief than a deductive syllogism.8 Fourth, when it comes to introspecting, discovering, and articulating reasons to believe in God, human beings manifesting conspicuous sanctity—“saints”—are an important but neglected source of evidence. Fifth and finally, rather than Evans’s “natural signs,” such saints are perhaps more accurately described as “supernatural signs.” That is, human beings are of course natural realities—like mountains, sunsets, and so forth—and so any human being in virtue of its very existence can arguably serve as a natural sign pointing to God’s reality. But the operating intuition of the hagiological argument is that there is something distinctive about saints that evokes rather more than Evans’s “cosmic wonder”: something deeper or brighter is disclosed in such lives that is inherently more compelling to those who perceive it. Let me conclude by lifting up Vicens’s wonderfully apposite quotation from Bonhoeffer: “Acquired knowledge cannot be divorced from the existence in which it is acquired.”14 Farrer would entirely agree, and this is indeed a point emphasized several times in Solved by Sacrifice: some things can only be known from within a commitment to them, rather than “externally” or “objectively.” But Bonhoeffer’s claim also illuminates the operating intuition of the hagiological argument: the existence in which we acquire knowledge of God is a personal existence—our own, and that of others—and cannot be divorced from it. I appreciate MacSwain’s attempt to clarify his discussion of “incarnate arguments.” I think we are largely in agreement as to how the holiness of the saints can rationally support belief in God. However, one claim MacSwain makes in his reply still leaves me scratching my head. He says “my intention was not that such ‘conspicuous sanctity’ should replace rational argumentation but rather it should augment it.” My initial reaction was to interpret this claim as meaning that what MacSwain calls the “hagiological argument” is one more argument alongside a number of others that can support, in a “cumulative-case” kind of way, belief in God. But then MacSwain suggests that the hagiological argument has “two distinct forms”—(i) “the propositional,” and (ii) “the performative”—and that he is “poised between them.” On the view of arguments that I have spelled out already, arguments just are ways of putting in propositional form reasoning that may motivate us to believe something but may otherwise be rather inchoate or undeveloped. Such arguments may include propositions about “the observed character of an entire exemplary life-narrative.” Without such propositions, we may still have evidence, and that evidence may still convince us to believe in God, with or without our realizing it, but we don’t have an argument. Perhaps this is just what MacSwain means by calling what belong to the second category only arguments in an analogical sense. But then, it’s unclear to me in what sense he could be “poised between” these two kinds of arguments. Of course, he notes that this issue awaits further exploration during his sabbatical, so perhaps we must wait until then for further clarification. As to whether the holiness of the saints would qualify as a “natural” sign, in Evans’ sense of the word: I’m not entirely sure. Evans thinks of a natural sign as one that provides “natural” knowledge of God’s existence, in the sense that the knowledge “does not presuppose any special religious authority or revelation” (p. 1); this is the kind of knowledge at which natural theology aims. Evans places natural signs within the first stage of a two-stage apologetic: the first involves an argument for the existence of “the God of the Abrahamic faiths,” and the second involves “an argument that this God has in fact revealed himself through particular historical events and/or a particular book” (p. 5). In explaining why he does not start with the second stage, Evans writes, “Suppose someone wished to begin with an argument that some particular event is a miracle that has revelatory value. It might be hard to produce a good argument that the particular event is a miracle unless we already know that there is a God and perhaps even know something about God’s character and intentions” (p. 6). I think MacSwain can best answer where he takes the evidence of the saints to fit on this schema (or whether he thinks his view does not fit the schema at all). Are the saints meant to suggest to us simply that there is a God responsible for their holiness? Or does the “something deeper or brighter” that is disclosed in their lives give us evidence of some truth particular to Christianity? I am again extremely grateful to Vicens for pushing for further clarity in regard to my ongoing research into what I call the hagiological argument for the existence of God. In response to her reply, “Saints and Signs,” let me offer the following comments and clarifications. First, when I wrote my initial response to Vicens’s main commentary on Solved by Sacrifice several months ago, I had indeed identified two different forms of the hagiological argument as expressed by various authors, namely the “propositional” and the “performative”. However, I now think that there are in fact three forms, and so between those two I would add the “perceptual”. The perceptual form was in fact cited in my initial response, in the quotation from Peter van Inwagen, but only later did I realize an important distinction between what he was claiming there and what Sarah Coakley describes in her hopefully-soon-to-be-published 2012 Gifford Lectures as the “ethico-teleological” argument. As Coakley makes clear in her 2009 inaugural lecture at Cambridge, this is a straightforward propositional argument to the best explanation, in which “the lives of saints”—“manifestators of Christian altruism”—are (possibly) best explained as examples of human “participation in the life of a loving and sacrificial God”.1 By contrast, I think van Inwagen is describing a religious experience mediated through such saintly individuals, and has thus in their “light” perceived “the presence of a living reality that transcends their individual lives.”2 So the propositional form of the hagiological argument as defended by Coakley is a hybrid of the moral and teleological arguments for God, with the distinctive aspect being that human holiness or supreme altruism is the feature of the world requiring divine explanation; and the perceptual form is a species of the argument from religious experience, with again the distinctive aspect being that such experience is mediated through exemplary human lives rather than more familiar sources. Second, what then of the vexing “performative” version? Vicens is still troubled by this, as while she can see how such an appeal to holy or altruistic lives might constitute evidence, the lives themselves can’t count as an argument, precisely because arguments are by definition propositional—as she puts it, “arguments just are ways of putting in propositional form reasoning that may motivate us to believe something”. So while she accepts that one could speak of a human life as an argument “in an analogical sense,” this cannot count as an actual, distinctive, separate version of the “hagiological argument” per se. Holy lives perhaps generate evidence that is then presented propositionally, and the question remains whether it is a valid propositional argument or not. I am sympathetic to and almost persuaded by this view, but remain intrigued by claims to the contrary. Thus, in a text that Gene Rogers recently brought to my attention, John Boswell explicitly states: “A life can be an argument; being can be a reason.” And here Boswell appeals to the Johannine identification of Jesus as the Logos, which of course means not just ‘word’ but also ‘reason’ and ‘argument’. God “sent an argument in the form of a human being, a life, a person. The argument became flesh and blood: so real that no one could refute or ignore it.” Boswell further claims that such identification between person and argument is not a uniquely Christological phenomenon, but that Christians are also called to be “logoi in this sense, arguments incarnated in persons”—or as I put it in Solved by Sacrifice, independently of Boswell, “incarnate arguments.”3 Likewise, in his own work Rogers makes the interesting observation that Aquinas calls the arguments for God in ST.I.2 “ways” (viae), and yet “way” is also another Johannine Christological title (John 14.6). In the Preface to ST.I.2 Jesus is described “as a human being the way that has to be stretched out for us into God” [secundum quod homo via nobis tendendi in Deum], and Rogers argues that here via can mean both ‘way’ and ‘demonstration,’ just as in ST.I.2 itself. Christ himself is the via/demonstration of God, and “that via is [the] primary analogate to the Five Ways, the quinque viae, that follow it.” Rogers admits: “Granted that is an analogy. A life is not a syllogism. But it is an analogy in a precise way, neither univocal nor equivocal.”4 Or, in the words of Rogers’s mentor Victor Preller, it is an “appropriate equivocation.”5 I’m not sure what analytic philosophers such as Vicens will make of this—“appropriate equivocation” being an unbearable oxymoron by such standards!—but I think it at least bears further scrutiny. If an argument can be a “way,” why can’t a person be an “argument”? Fourth and finally, I should make it clear that my primary tasks at present vis-à-vis the hagiological argument in its various forms are identification and classification. I first became aware of this argument in Farrer’s simple yet bold claim that “the saint is our evidence” for God, and then gradually saw how this was both similar to and yet different than claims made by Etty Hillesum, Rowan Williams, Sarah Coakley, Peter van Inwagen, Paul Moser, and now also Boswell and Rogers. Whether I will finally defend the hagiological argument in any of these versions remains to be seen, but I reiterate my gratitude to Vicens for bringing further clarity to these ongoing investigations. 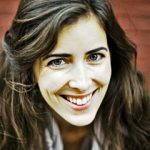 Recent decades have seen a revival of philosophical theology and now is a good time to look back and see how we got here. 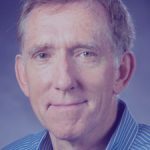 Before the time of Alvin Plantinga and Richard Swinburne, a generation of thinkers cleared the space for philosophically serious and academically respected engagement with religious questions. Among these were people like Frederick Copleston, Basil Mitchell, and Austin Farrer, whose intellectual development is the topic of Robert MacSwain’s excellent book. MacSwain has written a sharp, rich, erudite and interesting history of recent philosophical theology. The book reads like a detective story, which is something that you cannot often say about dissertations. Unlike many books in contemporary philosophy of religion, this one includes a lot of biographical elements from the lives of the dramatis personae, which makes it particularly enjoyable to read. MacSwain’s narrative begins before WWII when theologians still pursued their metaphysical enquiries in earnest. However, A. J. Ayer’s Language, Truth and Logic (1936) changed the atmosphere rather quickly and suddenly theology in its contemporary form seemed terribly outdated; theologians felt that they had to find a way of pursuing theology without metaphysics. Meanwhile, in the continent Barth was waging his dialectical war and the proponents of continental theology have ever since been suspicious of metaphysics, very much like their positivist philosopher colleagues—only for very different reasons. Farrer’s lifelong project in the search for rational religion takes place in between the Scylla of positivism and Charybdis of Barthianism. MacSwain charts meticulously all the twists and turns in Farrer’s development from his early Finite and Infinite (1943) to his last Faith and Speculation (1967). Farrer comes across as a bright mind, equal to Ayer and Gilbert Ryle, who was able to appreciate different philosophical and theological concerns and outline forms of enquiries that were later taken up by younger generations and formed into proper fields scholarship in philosophical theology, such as the science and religion discourse and Reformed Epistemology. The second phase in the story, shortly described by MacSwain in the last chapter, is the fallout of this “first” generation of contemporary philosophers of religion. The year 1967 marked the publication of Farrer’s last book, which was not well received due to its dialogical style, but also Plantinga’s God and Other Minds and Kai Nielsen’s article “Wittgensteinian Fideism.” Plantinga’s and Swinburne’s more strictly analytical model would eventually become the mainstream in Anglo-American analytic philosophy of religion (Swinburne’s first book, Space and Time, was published just a year later). Wittgensteinian philosophy of religion never formed a school of its own, probably because no one really knew how to interpret Wittgenstein’s remarks on religion, and probably even more so because no one really knew how to interpret Wittgenstein’s interpreters’ interpretations (I am especially thinking of D. Z. Phillips here). Instead, Wittgenstein’s thought had various kinds of ripple effects and it shaped many forms of contemporary theology and philosophy yet it never created a major, distinct school in philosophy of religion. Farrer’s own style that combined commonsense philosophy, existential thought, negative theology, Thomism, poetry and even narrative elements into a somewhat elusive form become less influential in the recent philosophy of religion. Some Anglo-American theologians have followed Farrer’s path but they have been few in number. MacSwain slightly laments this turn but perhaps this was both inevitable and providential. The second phase, dominated by Plantinga and Swinburne, made philosophical theology more or less academically legitimate. However, it did distance itself from academic theology and spirituality, whereas in Farrer’s writings all these had been intermingled. MacSwain merely glances to the future, to the potential third phase, and offers a few suggestions and wishes for what might lie ahead. I will offer some thoughts of my own that concern three themes that were also hallmarks of Farrer’s own thought: metaphysics, spirituality, and theology. It is interesting that almost all the major theologians in the beginning of the twentieth century wrote long treatises on metaphysics. These included Farrer’s Finite and Infinite, Edith Stein’s Endliches und ewiges Sein, Erich Przywara’s Analogia Entis, Dietrich Bonhoeffer’s Akt und Sein, Barth’s Fides Quaerens Intellectum: Anselm’s Proof of the Existence of God, to mention just a few. Then followed an era of silence, maybe because of the atmosphere created by positivism, maybe because some theologians thought that metaphysics is generally bad (that is, not theological enough) for theologians. Farrer was a member of “The Metaphysicals,” a famous company of intellectuals in 1940s Oxford who chose to be called such because metaphysics was considered out of date, and they (Iris Murdoch, Ian Ramsey and R. M. Hare, among others) wanted to discuss whatever topic that happened to please them (I guess this is what counts in Oxford as anarchy). This unyielding openness to ask questions revitalized the philosophical climate and enabled new ways to pursue themes that were central for human existence. MacSwain’s story reminds us that the tides of intellectual seas move rather fast and sometimes in an unexpected manner. Farrer was also known for his exegetical works and sermons. Throughout his career, his religious epistemology keeps the religious part close to his philosophy. God cannot be known in the same way as metaphysical propositions are known. Knowing God takes place in personal relation. This feature is something that becomes invisible in the second phase of contemporary philosophy of religion. We know about the religious lives of the famous Christian philosophers through their spiritual autobiographies but mostly this personal and spiritual side is removed from their academic writings.2 But perhaps this is starting to change. I am thinking of works like Nicholas Wolterstorff’s The God We Worship, Sarah Coakley’s work on spiritual senses, and John Cottingham’s Spiritual Dimension. These works remain within the academic genre but they reach beyond it and provide thus material that can be enjoyed by both professionals and laypeople alike. In the second phase, philosophy of religion and theology were, if not divorced, at least residing in different addresses. Today, movements like analytic theology are trying to bridge this gap. However, analytic theology has drawn criticism for both not being theological enough and for not being analytic enough. But these all are marks of a new discipline that is still trying to find its way. MacSwain tells how Basil Mitchell tried to build bridges in his “Two Approaches to the Philosophy of Religion,” where he tried to find a via media between the thought of Swinburne and Wolterstorff. Perhaps the division is not that great and significant today. I do not think that we are any closer to solving the great epistemological questions but people involved in these debates do not think that there is a need for just one canonical form for Christian epistemology or philosophy of mind. Nevertheless, while the Christian philosophers who have been mentioned here share the common analytical bent, albeit in different forms, their contributions to theology have been somewhat slim. But this is not because people haven’t tried. There have been several attempts to introduce philosophical arguments into exegetical discussions by Plantinga and Wolterstorff.3 Also, there is an ongoing commentary series by Brazos in which systematic theologians (of various sorts) write biblical commentaries. So things are moving forward, and perhaps towards something that Farrer had envisioned. Maybe Farrer reached the highest point that is humanly possible in keeping all these different threads in his hands. But could someone like Farrer survive in the contemporary academic world? I do not think so. Even in his own time, Farrer was a sort of outsider—and maybe this enabled him to be so successful, that is to say, he was free to pursue his own interests without the stifling fear to get everything right on the first try. I believe, and I think MacSwain thinks so as well, that we are seeing a slow but firm return to themes and concerns, and also styles, which were visible in Farrer’s oeuvre.4 I would not lament “the more formal and technical contributions” of the second-generation philosophers of religion (214). In a way, they simply continued the same project but in a way that provided more clear and (positively) rigid grounds for the vision that Farrer had been imagining. MacSwain’s book itself is an example of Farrerian sensibilities in that it combines several approaches, such as history, personal narratives and conceptual analysis, to address the question regarding the rationality of religious faith. On 12 September 2007, at Lady Margaret Hall, University of Oxford, during a conference of the British Society for the Philosophy of Religion, I presented an early version of what would eventually become chapter 1 of Solved by Sacrifice: Austin Farrer, Fideism, and the Evidence of Faith.1 A soft-spoken Finn engaged me in conversation afterward regarding certain points of interpretation, and he mentioned self-depreciatingly that he was also working on a fideism-related project. 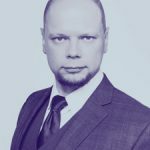 This was Olli-Pekka Vainio of Helsiki, who subsequently published the significant study Beyond Fideism: Negotiable Religious Identities. 2 I am thus delighted that one of my very first interlocutors was able to contribute to this symposium. Vainio’s commentary begins by placing my book on Farrer and fideism in the context of Anglo-American philosophy of religion from the 1930s until now. He identifies three phases in this international but still primarily anglophone conversation between analytic philosophy and Christian theology: the first phase—to which Farrer’s generation belonged—consisting of the immediate reaction to A. J. Ayer’s Language, Truth and Logic3; the second phase, dominated by Alvin Plantinga in the United States and Richard Swinburne in the United Kingdom, but also informed by D. Z. Phillips’s Wittgensteinian investigations on both sides of the Atlantic; and the third phase being the present day, in which the achievements of the second phase are still consolidating and their further implications explored. Vainio then focuses on three themes from Farrer that have special resonance for this ongoing third phase: metaphysics, spirituality, and (analytic) theology. I will address briefly these three themes in turn, but let me first observe that in the broader context of the extremely stimulating ongoing conversations initiated by Syndicate Theology, analytic philosophical theology has been curiously (although not entirely) absent. While I have not read all of the previous symposia (nor all the books that they are about! ), a glance at the impressive backlist and the forthcoming titles to be discussed indicates a much stronger collective engagement by both authors and commentators with modern and postmodern Continental philosophy as the primary source to which contemporary Christian theologians turn for the conceptual substance of their work. Three of the previous symposia that I will refer to below are those on Adrian Pabst’s Metaphysics: The Creation of Hierarchy,4 Catherine Pickstock’s Repetition and Identity, 5 and William Franke’s A Philosophy of the Unsayable.6 This preference of theologians for Continental philosophy is of course a well-known and oft-commented-upon phenomenon, and I don’t intend to engage deeply with it here, other than to make two observations. First, among the various treatments of this vexed divide between Continental and analytic philosophy, the one I have personally found most illuminating is William J. Wainwright (ed. ), God, Philosophy, and Academic Culture: A Discussion between Scholars in the AAR and the APA.7 While this is not a substantial volume of original scholarship, it helpfully situates the debate in social contexts rather than purely conceptual ones. Wainwright brings together philosophers of religion identifying primarily with the American Academy of Religion—i.e., those who have been trained and teach mostly in departments of religion or divinity schools—and philosophers of religion identifying primarily with the American Philosophical Association—i.e., those who have been trained and teach mostly in departments of philosophy. What emerges is how differently these various scholars have been socialized to think of their supposedly-shared discipline—and not just the “…of religion” aspect. What it means to do philosophy and be a philosopher is strikingly different between members of the AAR and members of the APA: thus, as J. Aaron Simmons rightly says in his commentary on Franke’s A Philosophy of the Unsayable, “if there is a ‘predicament of philosophy of religion today’ [as Franke claims] then perhaps the most troubling aspect of it is that there are two philosophies of religion and neither is interested enough in appropriating and learning from the other.”8 I am thus pleased that this current symposium on Solved by Sacrifice proves that Syndicate Theology is open to appropriating and learning from analytic philosophy as well as what Simmons describes as “deconstructive phenomenological continental philosophy”! Moving then to Vainio’s three themes, he astutely observes that metaphysics was a primary concern of theologians in the early twentieth century, that it suffered a dramatic eclipse in both philosophy and theology in the middle of the century, but that it has now made a remarkable recovery among contemporary analytic philosophers. Farrer and his circle defiantly called themselves “The Metaphysicals” in 1940s Oxford because (according to Basil Mitchell) it was then, under the influence of logical positivism, “the rudest word in the philosopher’s vocabulary.”10 However, over the last few decades, in the wake of post-positivism “‘metaphysics’ ceased to be used as a term of opprobrium and has become the name of a respected field in analytical philosophy, a field in which jobs are advertised and tenure is granted.”11 Or, as Wainwright puts it, albeit twenty years ago in 1996, “Contemporary continental philosophy is deeply antimetaphysical. But contemporary analytic philosophy is not.”12 The tide now seems to be shifting in Continental philosophy as well. Very briefly, as for spirituality, Vainio notes the signal contributions of Sarah Coakley, John Cottingham, and Nicholas Wolterstorff, and I would also add works such as David Brown’s God and Enchantment of Place: Reclaiming Human Experience, 20 Paul K. Moser’s The Evidence for God: Religious Knowledge Reexamined,21 Eleonore Stump’s Wandering in Darkness: Narrative and the Problem of Suffering,22 and Mark R. Wynn’s Renewing the Senses: A Study of the Philosophy and Theology of the Spiritual Life.23 These are all books written by scholars trained in analytic philosophy but who in various ways fruitfully break or blur the boundaries between philosophy, theology, and spirituality. Whether Abraham’s advice is taken by Analytic Theologians remains to be seen, but I am very much of the school of St. Basil. Although Solved by Sacrifice was written before Abraham published those words, for those who want to explore this neglected strand my volume provides a genealogy of Farrer’s influence on Basil Mitchell and the other Metaphysicals and thus tells part of the story that Abraham outlines here. The implications of that story for contemporary metaphysics and epistemology are detailed in my responses to Griffiths and Vicens, but in addition to thanking Vainio for his generous commentary I’m curious to know more about how Analytic Theology informs his work as a Finnish Lutheran who began his career as a Reformation historian before moving into systematic and philosophical theology. The conversation continues! Why do traditions need each other? So how does Analytic Theology inform the work of a Finnish Lutheran historical theologian? Personally, and because of the tradition that brought me where I am, analytical philosophical theology has always been like fresh air to me. I grew up in a kind of Wittgensteinian/Continental tradition, which (as I later understood) was just a one way of doing theology or philosophy; a good tool to clear out some issues but unfit for many other tasks. In one of those BSPR meetings Rob mentions, I got a feeling that we are speaking about the things themselves. I had accustomed to doing theology in a way that theology is just presenting what a person X says about thing Y, and the limits of that approach were just too tight. To offer an obvious caveat: the movements we are talking about are internally diverse. There is no single Continental approach to, e.g., religious language as there is no single view about metaphysics in the Analytic tradition. I have written a short article on Edith Stein’s (see the latest Journal of Analytic Theology) view of religious language, which she takes to be more or less univocal and cognitively realistic. Stein clearly is a Continental thinker, but she is not far from, say, William Alston. Some time ago I was questioned by a Lutheran colleague regarding my new love of analytical metaphysics. He claimed that theologians should avoid metaphysics of analytical kind because that is just logical positivism. Maybe this was true some decades ago but it sure is not true anymore. What I would like to see in the future is some rapprochement of various styles of theology and philosophy. We all have our intellectual laundry lists, which is ok, as long as we remember what we are trying to achieve. Belonging to a tradition (and we all do belong to a tradition) does not mean that there is nothing outside the tradition. I, like Rob, feel naturally drawn towards the school of St. Basil, but I realize that I cannot follow St. Basil well without some help from St. Alvin. Finally, a short note on Martin Luther. Luther’s infamous Heidelberg disputation is the proof text for much of the contemporary anti-metaphysical theology. But here the continentals would benefit for reading closely what Luther actually says. He is not opposed to metaphysics as such. Instead, he rejects a form of metaphysics that creates a procrustean bed for theology, and not all forms of metaphysics do that. Of course, this is nothing new in the history of theology; that debate started in the 2nd century. Without logic, history is blind. Without history, logic is crippled. 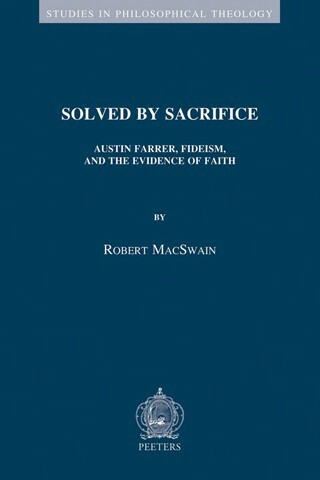 I’m glad to have read Robert MacSwain’s Solved by Sacrifice, and to have been instructed by it, most especially about its main topic, which is the fabric of Austin Farrer’s thought. MacSwain has done thorough and careful work on this, and, unlike many historians of Christian thought, he shows that he takes those he’s writing about seriously as thinkers by doing them the honor of identifying, with argument, what he takes to be their failures and successes. He does that as it should be done, with precision, clarity, and wit. I’m not going to comment on MacSwain’s exegesis of Farrer, partly because I’m largely incompetent to do so, and partly because the issues raised by Farrer, and by MacSwain’s exegesis of him, interest me far more than what Farrer thinks about them. What I will comment on is the normative position MacSwain takes on (what he calls) religious epistemology, a position he also attributes to at least the later Farrer. I’ll restate that position, and suggest why, so far as I can see, it’s wrong, or at least problematic, and, concomitantly, why Christians shouldn’t hold it. But perhaps I should say something first about my own knowledge of Farrer. I’ve known about him since 1975, when I went up as an undergraduate to Trinity College, Oxford, to read philosophy and theology. Farrer had been chaplain there until 1960, when he moved to Keble, and was still very much present in spirit even though he’d died seven years before I arrived. His name was often mentioned, and usually with some reverence. I tried to read him then, without much success—Finite and Infinite was too difficult for me at the time. But I read it later, and along with it most of Farrer’s other works. I have before me as I write these words my copy of Finite and Infinite, which was once owned by John Hick (it bears the inscription “John Hick, Edinburgh, 1947”), for which I apparently paid £15 at a used bookstore somewhere in England in 2005. MacSwain’s discussion of the lineal relations between Hick and Farrer makes this material object glow, metaphorically, like a tertiary relic. But still, I’d happily jettison Finite and Infinite, which seems to me in the end subpar Thomism, for the sermons, and for the essays collected in Saving Belief and Interpretation and Belief. These are often beautiful and sometimes profound; MacSwain’s discussion of them is equally so. The first issue I’d like to address is Farrer’s straightforwardly post-Kantian assumption that epistemology is and must be first philosophy. MacSwain quotes Farrer as writing, in 1947, “Now there is no going back upon the work of the critical philosophers, and if we are to re-apply philosophical method to the world of real being, we have got to give a credible account of how the mind proceeds in approaching real being” (143). That’s just to say that a broadly epistemological account of a normative kind—one that shows not only how we come to make assents, but also how we should; the account must be “credible,” which is shorthand for this additional requirement—has to be given before analysis of the content of Christian belief can be entered upon. This assumption informs most of Farrer’s work on the epistemology of Christian believing, and, therefore, his various treatments of the faith/reason pair. Farrer is concerned to both show and defend the rationality of Christian believing, and he is so because he thinks that not to do so is to avoid a demand of reason. MacSwain characterizes him as a moderate fideist, and that seems right, if indeed the term is usable anymore; MacSwain’s analysis shows how varied its meanings have become. Farrer allots, that is, a mild priority to faith in the faith/reason pair. Nonetheless, Farrer’s repeated attempts to characterize the relations between faith and reason, and to offer a reasoned account of those relations, shows that he always remained, decisively, an epistemologist, which is to say one who thought that epistemology must, on pain of irrationality, be done in constructive mode, even if not in such a way as to remove epistemic significance to faith. MacSwain’s concluding discussion of the epistemic value of the saints shows, I think, that he too is in this camp. I’m dubious that it’s the right camp to be in. The central problem is that those in this camp almost always think that epistemology has a positively normative edge. That is, they think it possible to discriminate rational acts of assent from irrational ones independently of discussing the truth of what’s assented to or the processes by which assents are arrived at, and that epistemology serves this purpose. I don’t think any of that’s right. Epistemology has, rather, two purposes, neither of them much like what I’ve just rejected. The first is descriptive rather than prescriptive. Epistemology shows, when it’s working as it should, how we (we human creatures, that is) come to make assents; good description is its proper end, and when that’s done well, epistemology finds its proper place. Among the ancestors of this position are, in the anglophone world, J. H. Newman, whose Grammar of Assent, first published in 1870, seems to me still the best Christian book-length version of this position (it’s something of a historical puzzle why this book seems to have been so little read by Farrer and his generation of anglophone/Anglican philosophical theologians; it would have solved a good number of their problems if it had been), and, from a quite different perspective, W. V. O. Quine, whose essay “Epistemology Naturalized” does some of the same work, though without explicit theological interests. Wittgenstein also, of course, can be understood as writing in this line, as can his anglophone inheritors, Donald Davidson and John McDowell. Farrer’s work does sometimes approach this let’s-get-the-description-right-and-we’ll-have-dissolved-the-apparent-difficulty line. That’s because he was a profound and perceptive Christian thinker who found it impossible to rest easy with the dominant, for his time, thought that, in order to be reasonable in their assents, Christians ought play an epistemic game alien to Christianity. Farrer doesn’t, usually, advocate responding to the gospel’s annunciation like Zechariah, by saying, “Unde hoc sciam?” (Luke 1:18), but rather like Mary, by saying, “Quomodo fiet istud?” (Luke 1:34). The latter response accepts what’s been announced and wants to understand it better. The former response exhibits doubt and shifts the debate into an epistemic key. Zechariah gets struck dumb until he sees more clearly; Mary gets praised. Farrer, usually, is in Mary’s camp; but this reader of MacSwain’s book is left with the strong impression that the deep structure of Farrer’s thought is like that of Zechariah’s response. It’s helpful to think about Farrer’s treatment of revelation in light of the last paragraph’s distinction, for example in his essay with that title in Faith and Logic (1957), a collection edited by Basil Mitchell. Farrer’s discussion begins from a set of epistemological problems raised by appeals to revelation: If a revealed truth is one taken on trust, upon the credit of its proposer, then what epistemic value can assents so made have? How different is God as proposer from other humans as proposers? And so on—the familiar litany of epistemic questions asked by prescinding from the question of the truth of what is proposed, and from thick description of what it is like to respond to (divine) revelation, which is to say of how revelation appears in the world. Farrer’s discussion of all this focusses on the “proving, in life” (“Revelation,” 89) of the precepts offered in revelation to us, and attends especially to the witness not only of the deepening of our own life, produced by taking the divine precepts as such, but also to that of the lives of the saints as showing the same. This is a position that MacSwain takes up and endorses at the end of his book. The lives of the saints, on this view, provide warrant, perhaps even vindication, for the otherwise epistemically dubious enterprise of taking the divine precepts as such. Toward the end of the revelation essay, Farrer writes: “If, in attempting to discuss revelation, we fall into writing sheer theology, it is not to be wondered at. ‘The possibility or nature of revelation in general’ appears to be the philosophical topic; but as we have seen, it evaporates [into theology] when we come to consider it” (99). Why can’t we discuss revelation without simply pointing to the content of the Christian faith? Because, as Farrer sees it, of the special nature of Christian assents—their directedness, that’s to say, toward God, which makes ordinary epistemology with respect to them impossible or at least difficult. Nevertheless, the thought that we might do something of epistemic significance by way of analyzing revelation as a philosophical question picks out a real desideratum Farrer thinks; it’s just that it that can’t be met. Its impossibility is acknowledged and accounted for, but also regretted. That regret—rarely explicit, but a subterranean presence in Farrer’s (and MacSwain’s) work—explains the search for substitutes, matters to which epistemic appeal can be made without simply recounting the content of the Christian faith. Better, it seems to me, to be clearer than Farrer appears to have been that elevating epistemology to the status of first philosophy is mistaken in the first place, a confused enterprise that takes as desiderata things that are neither needed nor available. If deep clarity about that were reached, the saints would vanish as epistemic guarantors, and as any kind of evidence; they could then reappear as what they are, which is as exemplary occasions of contemplative delight for Christians (and sometimes for others). Such clarity would also permit revelation to cease to be an epistemological stumbling-block, and to become itself an object for philosophical—most likely phenomenological—study, as it has become, for example, in the work of Jean-Luc Marion, who treats it as an instance of the saturated phenomenon, an ordinary feature of human life rather than an occasion for epistemic anxiety. That approach would be to adopt Mary’s position before revelation, rather than Zechariah’s. MacSwain’s book provides a richly granular account of Farrer’s epistemological work, which so far as I can tell has not been done before. It also writes a chapter in the history of mid-twentieth-century English (and largely Anglican) philosophical theology with a new level of detail and perceptiveness. I’m grateful for both these things, even if I remain largely unpersuaded that the axiomatic commitments of Farrer’s epistemology are any longer tenable. I first encountered the incisive mind of Paul Griffiths way back in 1993 when he intervened in a debate in the journal Faith and Philosophy between the liberal theologian Gordon Kaufman and the analytic philosophers Eleonore Stump and Norman Kretzmann. This debate concerned formal and material differences between contemporary theology and contemporary philosophy of religion—differences that also inform the AAR/APA divide between the “two types of philosophy of religion” discussed in my response to Vainio. That whole extended debate is thus highly pertinent to the concerns of this current symposium and well worth revisiting.1 Griffiths and I then overlapped briefly at Durham University in 2007 when he was the Alan Richardson Fellow at the university’s Department of Theology and Religion and I was chaplain of St. Chad’s College. 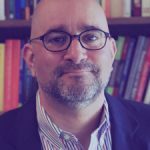 When I heard that he was contributing to this symposium on Solved by Sacrifice, I was both honored and (quite frankly) somewhat apprehensive given his formidable powers of analysis and critique. I was thus relieved by his appreciative comments, but also challenged profoundly by his arguments against the epistemological focus of my interpretation of Farrer’s current significance.2 While certain interpretive and normative differences may remain between Griffiths and me, his commentary has nevertheless changed the way I understand both Farrer’s thought in particular and epistemology in general, and for these new insights I am deeply grateful. How, then, can Griffiths assert that for Farrer “epistemology is and must be first philosophy”? The answer is that, according to Griffiths, epistemology is actually more central to Farrer’s project than I had realized, and if Griffiths is correct then post-Kantian epistemological concerns were driving Farrer’s metaphysics all along, even in his earlier Thomist period. For Griffiths, if Farrer was asked the question, “Who’s on first?” the correct answer would be, “Epistemology,” even if Farrer himself wanted to reply, “Metaphysics.” One can even see this epistemological enlistment of metaphysics in the two citations from the early Farrer in the previous paragraph, simply by italicizing “if”—“there are some metaphysical questions which must be settled if we are to vindicate the significance of any theological statements whatever of the traditional type” and “finite substance has to be vindicated if theism is to be upheld.” Thus, in Griffiths’s reading, even for the early Farrer such metaphysical questions must be answered and such theories upheld precisely for their crucial epistemological assistance in making theism rational. In other words, what I regarded in Solved by Sacrifice as the secondary epistemological implications of Farrer’s primary metaphysical interests, Griffiths sees as Farrer’s primary epistemological agenda appealing for justifying metaphysical support. While Griffiths’s reading of Farrer on this question is partly a matter of where to place the emphasis—i.e., either on being or on belief—if he is correct it would make a difference to my overall argument regarding the nature of Farrer’s thought, and I am still thinking through its potential implications. But while Griffiths is clearly onto something here, things may be a bit more complicated. For example, Griffiths draws his epistemological interpretation of Farrer not just from Finite and Infinite, but also from a 1947 essay titled “The Extension of St. Thomas’s Doctrine of Knowledge by Analogy to Modern Philosophical Problems.”8 In Solved by Sacrifice I suggest that Farrer’s appropriation of Aquinas in this essay does indeed bear some resemblance to the Transcendental Thomism in which, as Fergus Kerr puts it, “Cartesian/Kantian philosophy could not be outwitted by being regarded as a total mistake: rather, Thomas had to be reread in the light of modern philosophical considerations.”9 But I also observe that this flow of influence between the medieval and the modern remains a two-way street and that “Farrer, at any rate, is here trying to do equal justice to both the undeniable conclusions of post-Kantian ‘critical’ philosophy and the epistemic wisdom of medieval Thomism. Although very well aware of the complicating character of the modern critique, he is still [i.e., in 1947] possessed by the Thomist vision.”10 Griffiths, I take it, would not even concede this much value or validity to the post-Kantian influence on Christian theology and philosophical reflection, and would thus condemn Transcendental Thomism as well. But Griffiths’s second and main critique of my book is what he regards as its mistaken understanding of the purpose of epistemology. If the interpretive difference that I have discussed so far deals with whether Farrer is best described as a metaphysician or an epistemologist, this normative question deals with the proper understanding of epistemology as such. As Griffith sees it, epistemology should be “descriptive rather than prescriptive.” The goal of epistemology is not to “discriminate rational acts of assent from irrational ones independently of discussing the truth of what’s assented to or the processes by which assents are arrived at.” Rather, epistemology “shows, when it’s working as it should, how we (we human creatures, that is) come to make assents; good description is its proper end, and when that’s done well, epistemology finds its proper place.” Thus, instead of Zechariah’s unfaithful question, “How will I know?” (Luke 1:18), Griffiths sides with the angel Gabriel in commending Mary’s “How can this be?” (Luke 1:34) And Griffiths lists a number of sacred and secular figures advocating various versions of this Marian epistemology, such as Newman, Wittgenstein, Quine, Donald Davidson, and John McDowell. Second, regarding Griffiths’s view of the normative purpose of epistemology as descriptive rather than prescriptive, this is an unresolved tension that runs right through my exposition and analysis of Diogenes Allen’s influence on Farrer’s Faith and Speculation. The first chapter, “The Believer’s Reasons,” consists of a dialogue between a “believer” who offers a descriptive account of his faith and a “philosopher” who asks for a prescriptive justification of it.12 This dialogue nicely captures Farrer’s own uncertainty at the time as to whether the “believer’s” descriptive account is in fact adequate or whether it needs the “philosopher’s” further assistance—which is simply another way of saying that it captures Farrer’s uncertainty regarding the nature and function of philosophy itself. In Griffiths’s terms, is Farrer more with Zechariah or more with Mary? Griffiths rightly suggests that Farrer’s heart seems to be with Mary yet his head seems to be with Zechariah, and so the tension remains. With Griffiths’s instructive questions in mind, I can now ask whether saints can be prescriptive “evidence” (Farrer), descriptive “occasions of contemplative delight” (Griffiths), or perhaps both at the same time. —Mark Twain, “The Pudd’nhead Maxims,” in Following the Equator (1897). With his characteristic humor and wit, Mark Twain sets faith in opposition to knowledge, reason or even reality. Here, faith believes “what you know ain’t so” and is therefore—by definition—irrational. The perception of faith’s irrationality and opposition to reason has been reframed by Postmodernism, but the dichotomy identified by Twain persists. Thus, theology does not merely need expositors of the faith but profound thinkers investigating and explicating the nature of faith itself, particularly in relation to reason and philosophy. Twentieth-century English Anglican Austin Farrer spent much of his life exploring the rationality of faith, and his writings remain a rich and largely untapped source of insight. Robert MacSwain’s excellent book Solved by Sacrifice: Austin Farrer, Fideism, and the Evidence of Faith traces the development of Farrer’s epistemology with particular attention to faith throughout his life. By creatively reclaiming and redefining “fideism,” MacSwain explores the role of faith in Farrer’s epistemology from his early days as an undergraduate until his death in 1968. Throughout the book, MacSwain traces Farrer’s oscillations “between rationalistic and fideistic poles” in his struggle to honor both faith and reason (1). He considers Farrer’s final phase to be particularly promising and relevant today. Farrer’s epistemology is neither rationalistic nor irrational but successfully honors both faith and reason in their proper order and spheres. MacSwain’s book and Farrer’s thought deserve wider attention, and I am grateful for the opportunity to discuss them here on Syndicate Theology. This essay will focus on the knowledge of faith in chapter 4: “Can Reasonable Minds Still Think Theologically?” MacSwain demonstrates that then Yale doctoral candidate Diogenes Allen significantly influenced Farrer’s final position before his untimely death at the age of sixty-four. The chapter’s title comes from Farrer’s own writings and encapsulates a central aspect of his life’s work. Unsurprisingly, Farrer ultimately answers the question to the affirmative, but not without significant investigation and qualification. By focusing specifically on the development of epistemology, MacSwain explores Farrer’s “early,” “middle” and “late” phases of thought: each seeking to honor both the reality of faith and intellect. MacSwain’s thorough research into the background of this comment as well as the actual content of the chapter referenced demonstrate that “plundered” is not too strong of a word, though perhaps unnecessarily negative and self-deprecating. MacSwain notes that when comparing Allen’s writings and Faith and Speculation, “Farrer’s dependence on Allen is immediately obvious, up to and including the specific terms and examples employed” (185). The similarities continue to the extent that the influence is beyond doubt and one begins to wonder if Farrer should have given Allen coauthorship credit. The interaction between Farrer and Allen is particularly interesting in its mutual stimulation. MacSwain describes the significant influence Farrer’s writings—particularly Finite and Infinite—had on Allen’s doctoral work, both in his coursework and dissertation (174–75). The really remarkable counterinfluence came when Allen spent a year at Oxford University interacting with Farrer himself. MacSwain describes the dynamic interaction that the renowned Warden of Keble College, Oxford, had with a visiting Yale doctoral student. With tremendous openness and humility, Farrer listened to his student’s critique of his work and altered his positions when he found them convincing. In particular, MacSwain argues that Allen’s doctoral dissertation-in-progress “presented a fully worked-out and well-defended position on the relation between faith and reason, religion and philosophy, a position that Farrer found strongly appealing and which resonated with various stages of his own life-long attempt to harmonise these realms” (194). MacSwain’s descriptions of both the content and the nature of their interaction offer significant contributions to Farrer scholarship. In contrast to the dichotomy between faith and reason, Farrer utilized an “interactionist epistemology” throughout most of his career (197). MacSwain rightfully describes this as “the more holistic claim that our acquisition of knowledge is not so much mental as corporal, involving every aspect of our being” (136). Through an expansive understanding of knowledge that encompasses the intellect but is not limited to it, Farrer opens the door to the knowledge of faith by approaching it according to its nature. Such an approach allows Farrer to overcome the dichotomy between faith and reason by ordering both within a larger framework. Farrer’s clearest exposition of his understanding—following his interaction with Allen—comes in the first chapter of Faith and Speculation, entitled “The Believer’s Reasons.” This is also the chapter that Farrer claims to “have plundered” from Allen. MacSwain spends considerable time focusing on “The Believer’s Reasons”: its background, its content and its differing interpretations. While he is correct in seeing the crucial importance of the chapter, the weight of the analysis at times seems more than the fourteen-and-a-half page chapter can bear (Faith and Speculation, 1–15). Nevertheless, MacSwain’s insights and instincts point in remarkably fruitful directions. Farrer clearly disclaims any wholesale appropriation of Allen’s position while still expressing great interest in it. Moreover, he stresses the importance of keeping belief or faith distinct from the legitimate questions of philosophy. The ordering is crucial: belief comes first, and the believer need not produce philosophical proofs at the outset. Nevertheless, the philosopher can respect the believer’s faith while still pursuing an examination of its underlying assumptions and implications. Such a position rejects rationalism while maintaining space to explore faith’s philosophical foundations and guarding it from mere irrationality. Interestingly, MacSwain notes that Farrer held “that atheism is a rational position” throughout his life (192). Philosophically, deeming a position rational is no assurance that it is indeed true or correct. Both faith and atheism can be considered rational positions—as opposed to irrational—while still unproven by purely rational tools. The crucial point for Farrer involves the proper ordering and spheres of knowledge. Farrer’s final development in thought created what MacSwain describes as a “moderate methodological fideism” that “begins with faith, and does indeed find its primary justification in the ‘nourishment’ or ‘blessings’ of the gospel, but at least among the philosophically-awakened the ‘faith-attitude’ must still perceive (‘read off’) a finite, contingent, and thus created universe for such belief to be rationally maintained” (197). MacSwain’s final chapter opens the significance and the implications of this “diaphanous” approach in fruitful ways. Nevertheless, drawing on Allen’s philosophical groundwork, Farrer takes a position that clearly attempts to honor both faith and reason. Farrer’s compelling use of Allen’s thought brings him a good distance from Twain’s farcical definition of faith. Faith and reason both have their crucial place in Farrer’s epistemology. Nevertheless, both terms require more than cursory attention. MacSwain offers an important mea culpa in the final pages of his book. Here he concedes that his discussion throughout has worked with “implicit definitions” of both faith and reason without detailing explicit definitions of the terms (220). The various changes in Farrer’s fideism, which MacSwain describes so well, necessarily reflect correspondingly nuanced and varied definitions of faith and reason. This seems particularly crucial in regard to faith given MacSwain’s helpful and lengthy discussion of “fideism” in chapter 2. Here, taking an etymological approach, the author argues, “‘Fideism’ can mean anything that ‘faith-ism’ can mean” (81). Given the convincing case MacSwain sets out for Farrer’s evolving understanding of faith’s epistemological role at each stage of his thinking, it is unlikely that Farrer worked with a static definition of faith throughout his career. Moreover, MacSwain helpfully discerns that it is precisely the definition of faith that constitutes the primary contention between Allen and Brian Hebblethwaite in their interpretations of Faith and Speculation discussed in chapter 1 (50). If it is true that “in the typical examination by philosophers of religion of the grounds for religious belief, faith is a pale substitute for evidence,” then it seems likely that Farrer’s “early” and “late” phases were at least partially influenced by these views (Allen, quoted by MacSwain, 51). MacSwain also notes that it was John Hick’s “theory of faith” that Farrer found disagreeable when he examined Hick on his doctoral dissertation (192n123). In each case, the definition of faith plays a crucial role in the given debate. This raises the question: does Farrer continue to use his previously held definitions of both faith and reason or does his interaction with Allen demonstrate a significant reframing and redefining of these terms in light of the larger framework adopted? Solved by Sacrifice depends on biographical information throughout. Farrer’s challenging material takes on a new dimension when it is set in the compelling and personal narrative of his life. It is the story of a remarkable thinker who continually sought deeper answers to his philosophical inquiries and who arguably never came to a definitive position. At no point in this life did Farrer simply close the book on his search for proper ordering and honoring of faith and intellect. While some might find this infuriating, such an approach offers tremendous potential for growth, insight. and change. Likewise, Farrer’s openness to interaction with his student Allen is a striking embodiment of his own philosophical theology and faith. After reviewing the effusive praise given to Farrer during his life, MacSwain notes, “It is remarkable how many superlatives [Farrer] has received and yet how little he has been studied” (101). In light of the significant contributions Farrer offers to philosophical theology, I am hopeful that MacSwain’s excellent book will begin to remedy this. MacSwain’s blend of thorough historical research, careful interpretation, and critical engagement offers significant contributions to Farrer scholarship. The book opens new and important questions for future research and I very much hope MacSwain and others will pick up where the book leaves off. In light of the importance of the intellectual engagement between Farrer and Allen, it is both appropriate and promising to address these questions in the dynamic and interactive context of Syndicate Theology. May the substantive and critical engagement here be as fruitful and insightful as that of Farrer and Allen. McCormack’s book was published the year I graduated from Princeton Seminary but I didn’t actually read it until my doctoral studies a decade later. Despite the fact that McCormack is himself a professor of systematic theology, in the preface he contrasts the work of the theologian with the work of the intellectual biographer, and for the purpose of this text he sides with the biographer. Thus, he says, the problem with most previous studies of Barth is that they were written by theologians (! ), with the unfortunate “tendency to stand outside the development and ask (consciously or unconsciously): what is the most significant result of this development from the standpoint of systematic theology?”12 By contrast, in Karl Barth’s Critically Realistic Dialectical Theology McCormack deliberately adopted the genre of intellectual biography rather than theology and thus immersed himself in the consecutive minutia of Barth’s published and unpublished writings, including letters and postcards and obscure editorials in socialist newspapers, as well as the social, cultural, intellectual, and economic contexts in Germany and Switzerland in this period. Kennedy shares my sense of Farrer’s continuing significance, but readers of Syndicate Theology may well wonder why any such effort or even attention is necessary given Farrer’s current obscurity. (“Barth I know, and McCormack I know, but who is Austin Farrer?”) This raises the complicated question of influence. Although Farrer does seem to have been largely forgotten, he has in fact exercised a subterranean influence on several important contemporary figures. I have already mentioned Rowan Williams’s assessment of Farrer as the “greatest Anglican intellect of the last century.” While Williams rarely cites Farrer directly, this is beginning to change, as in several recent publications or lectures he has appealed to Farrer’s defense of substance in Finite and Infinite14 and to what Williams calls “the christological pattern of his metaphysical concern” in The Glass of Vision.15 There’s also a strong connection between Farrer and “Yale School” theologians such as Hans Frei (1922–1988) and Stanley Hauerwas. For example, in his “Remarks in Connection with a Theological Proposal,” Frei wrote that he was influenced “by philosophical psychologists such as Gilbert Ryle, Stuart Hampshire, Peter Strawson, and Elizabeth Anscombe—and theologians like Austin Farrer and Karl Barth.”16 And in his memoir Hannah’s Child Hauerwas also discusses the influence of both Barth and Farrer on him, via Julian Hartt, during his initial studies at Yale.17 And so on. But the question of influence—which, remember, was raised by me and not by Kennedy—may be a red herring. We read figures not because they are influential, but because they are helpful. For any number of reasons, some readers may find Farrer helpful in various respects whereas others may not. Rather than dwelling on influence, Frei commends an understanding of theology as “first of all the contemplative and devotional habit of the mindform of the knowledge and love of God, and second, the use of the trained intellect in penetrating that abiding mystery”—and then adds parenthetically: “Austin Farrer’s Bampton Lectures, The Glass of Vision, come to mind.”18 It is important not to be caught in the web of what is currently influential and thus exist purely in an echo-chamber of the like-minded. Kennedy’s creative conversation between Barth, Farrer, Macmurray, and Brümmer proves that he is not thus trapped, and I am grateful for his reflections on Solved by Sacrifice.